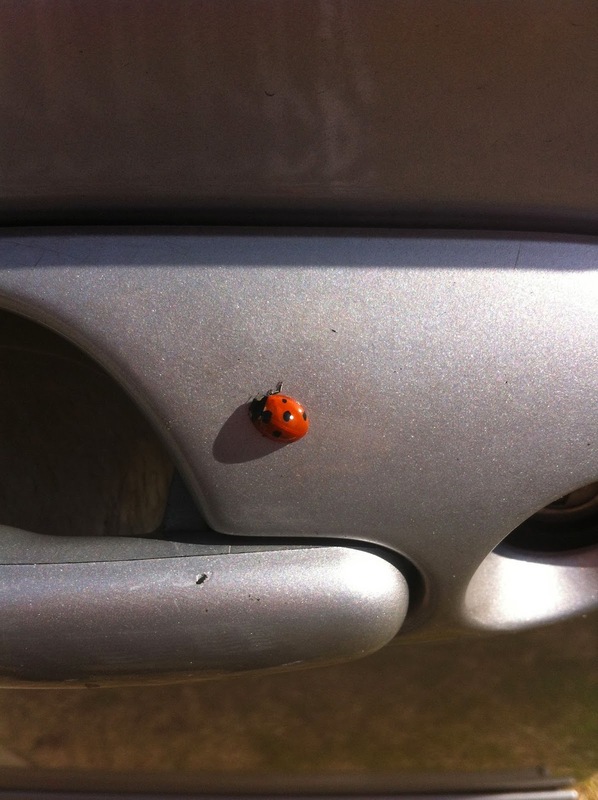 I spotted a ladybug on the van, after paying an astronomical amount of money to get it fixed. I'm kind of afraid to say this, but life feels like it's getting back into a normal groove. I feel like myself. I feel genuinely happy. Last weekend, I cleaned my whole house. I cleaned the carpet in our bedroom. I even vacuumed out my car. I paid all the bills. I cooked all week. I went to the gym twice. We got the van back. (We're not going to talk about how much it cost to fix, I'm still recovering from that panic attack.) I didn't leave work Friday with a giant list of things that I haven't done yet. I still worked too much. I still didn't sleep enough. I still ate three brownies and a donut. Oh, and I had my first Shamrock shake, which I really shouldn't have. It felt like an Eve in-the-garden moment. Now, I have the evil knowledge. I was definitely better off when I didn't know what that tasted like. But - I feel like we're getting there. 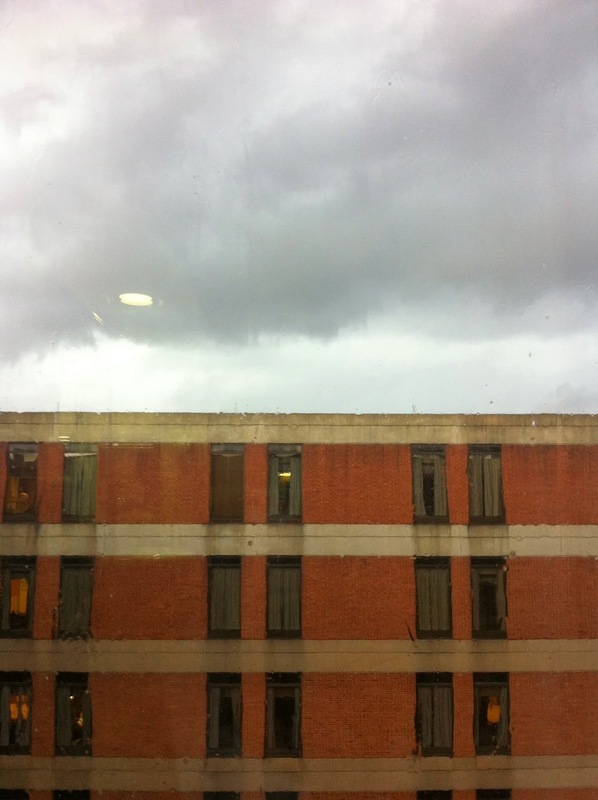 Storm clouds out my dad's hospital room, yesterday. He's doing better, by the way. It was 70 something degrees yesterday, before the storms rolled in. And even though it was cooler after the storms, the sun came back out. So, maybe that's where I am now. The sun is coming back up. It's not as it was before these storms, it's different. But the blue skies are peeking through, and you can feel Spring coming. Yay!!! So glad things are looking up for you.